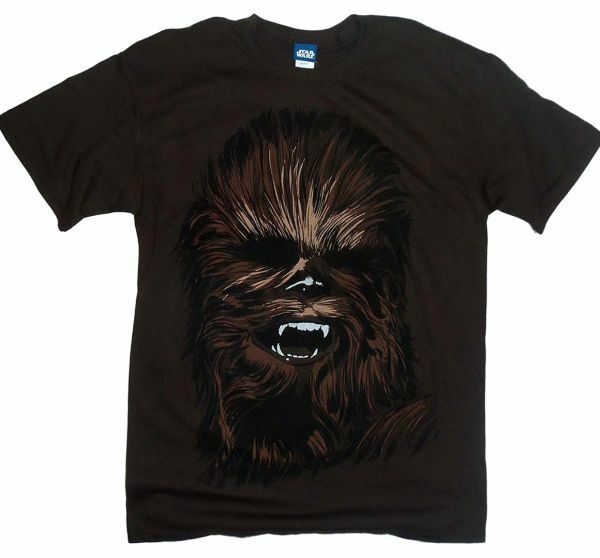 The Chewy Face T-Shirt shows a softer side of Chewie, featuring a close up of his iconic furry visage. This Brown cotton t-shirt is both comfortable and entertaining to wear, making it ideal for Star Wars fans with a sense of humor. An image resembling a painting of Chewy face covers the front of the shirt, with amazing detail paid to his bushy brown hair. His bright white teeth give him a giddy look, showing him as the cuddly gentle giant that he is on the inside. Give the most beloved Wookiee in the galaxy a place in your closet with the Smiling Chewbacca T-Shirt.